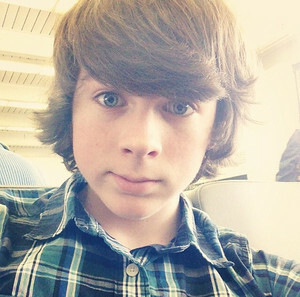 This Chandler Riggs photo might contain portrait, headshot, gros plan, and closeup. 10th and 7th grades! Happy first jour of school!